It has been way too long since we have done a recipe on here! 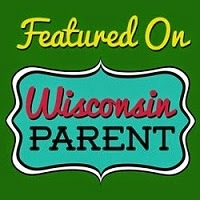 My hubby and I actually have a few that are in the formative phases but not quite there yet. This time of year is berry-good in our house as my husband snaps up organic berry deals. 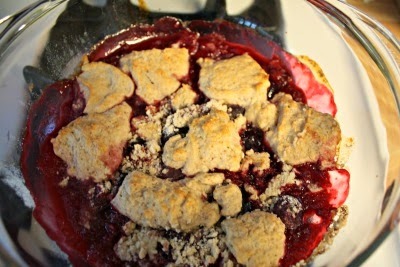 I was inspired by our recent collection of berries to make a cobbler for the Fourth of July. Cobblers are pretty easy and please most. I made ours in one dish wish we split three ways, but you can also easily bake cobblers in individual portions. 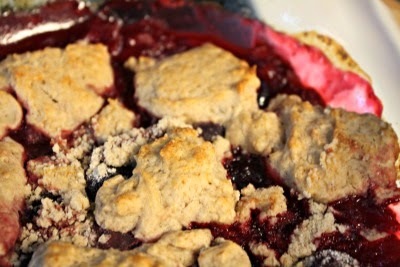 I used cherries and strawberries in my cobbler, but you can simply add blueberries, blackberries and raspberries as well. 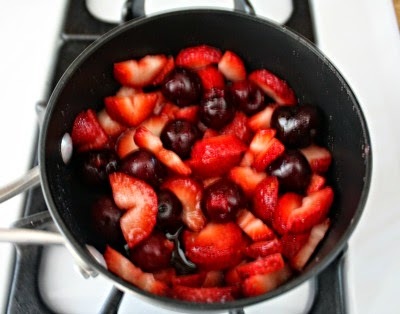 Then, combine berries, 1 Tbsp sugar and lemon juice in a saucepan. Let this sit for 10 minutes. Next, heat up and cook and stir until thick and bubbly. 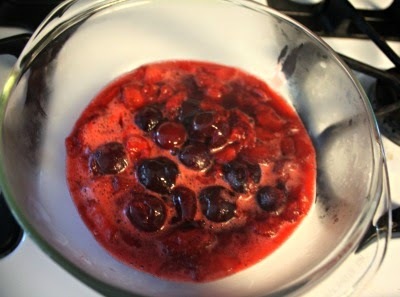 While cooking berries, combine flour, sugar, baking powder and cinnamon in bowl. Then, cut in butter. Follow by adding in milk to moisten. Once filling is ready, scoop into glass baking dish. Then, drop flour mixture on top. Pop in the oven for 20 minutes and voila! **Possible tweak: You can maybe change the sugar for honey. I didn't do this as we did not have any in the house at the time.